Anonymous Sai Devotee from India says: Hello all. Aum Sai Ram. A big thanks to Hetal ji and team for publishing the experiences daily which strengthens the belief in many of the devotees when we are surrounded with problems and tests. Kudos to the team behind this blog post for working selflessely to bring hope to many of us when life seems difficult. I request to send me a mail when my experience will be posted. I am married and working in a public sector living in India. Please keep me Anonymous. During the initial phase of my job period I got into a relationship with a boy working in the same company of different caste/state. It was in the year of 2014 January (after four years of relationship), when I declared it in my home about our relationship and as expected my parents got furious with my choice while on the other hand me and the boy were serious about taking the relationship to the next level (marriage) with both side parents’ permission. Fortunately the boy's mother agreed to the proposal. Since then the problem started and that was the time when I was introduced to the great saint Shirdi Sai Baba through my younger sister (the only one supporting me in the family). Earlier I had heard about Sai Baba, But never prayed Him before that. Then I started praying Sai Baba thinking one day all problems would be sorted out and we would marry each other with our parents’ permission. Days passed, months passed. Nothing improved. I cried daily in front of Baba asking Him to grant my prayers. Then through this blog I got to know about Nava Guruvar Vrat. I started doing Vrat each Thursday and at the same time tried convincing my parents. But my parents were adamant. My mother started praying Gods hoping that somehow I would change my mind; my father stopped talking to me. Those days were so difficult for me that I go mad sometimes. But at the end of the day, a silent prayer I made to Sai Baba that I know everything will be fine one day. One year passed and nothing; absolutely nothing proceeded. Then I decided to make a meeting between my parents and the boy. Then again I got a refusal. Trust me it was so heartbreaking. But during those difficult times I started reading books about Baba (Sai Baba is still Alive, Blog posts, Sai Baba movie) and every time my faith increased. Then during the year 2016, I continuously did Saptah Parayan throughout the whole year praying Baba to grant my wish. 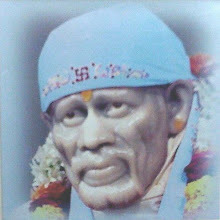 I visited Shirdi twice particularly for this purpose and three times to Shibpur Sai Baba. And each time I came back with a hope that everything will be fine soon. I asked in Sai Baba Q & A site and everytime I got answers like "your wishes will be fulfilled" " people from different religion will help you to get success" " Have faith you will get success". Then in May 2016 we did court marriage with only presence of his side family members. I stopped taking tea (one of my favourite beverage) and promised Baba that after marriage I would come to Shirdi and have tea in Your place. Conflicts didn't stop rather increased when my father blamed his mother. Then finally we decided to get married without my parent;s approval. We both arranged every single thing from our little bit of savings and I informed my parents about it. Still they did not agree. I went to Shibpur Sai Baba to invite Baba with my wedding card and my younger sister personally went to Shirdi and kept the card at the feet of Baba to come and bless me (And He did appear in the form of a gift photo frame). Finally the roller coaster ride came to an end and we tied the knot in December-2016 with only boy's side family members. We visited Shirdi together and I had my first sip of tea there only. It has been six months of married life and I daily thank Baba to have an amazing partner in life. Friends, I never questioned Baba why He didn't grant my wish (my parents did not approve) because I trust whatever is happening is with His wish only. Our world is full of love only. We didn't hurt anyone intentionally. All I wish to have a life full of love and happiness at Your feet Baba. I request to all parents to support their children keeping aside societal fear and lastly I am praying to grant my sister's wish. Om Sri Satchidananda Sadguru Sai Nath Maharaj Ki Jai. Anonymous Sai Devotee from India says: Sai Ram to all who have found peace and strength with this great Saint. I am homemaker from Mumbai and a devotee of Baba. I love and I am devoted to Him but I have to still learn to trust His decisions blindfolded. He proved it again that He foresees the situation and does what is right for His children. This Eid was a long weekend and me and my husband planned a drive down to my native place near Goa. As it was a long drive we chose to extend the days and make it a 5 day trip. I called my parents who were at my native at that time and asked them if they would be comfortable hosting us as we had planned to take my mother-in-law and house helper too. My dad was very happy on the phone and said we were welcomed. My mother too said that the weather was lovely as it was raining and cool and green all around. They had gone there to overlook work in the paddy fields. I was thrilled as I hadn't been to my native for 3 to 4 years and had literally been yearning to go there. I told the kids about the plan and they were over the moon and started making their own plans. I removed all the things to be packed. We were to leave on Friday morning and return on Tuesday. Incidentally that Thursday was the last of my Nav Guruvar vrat that I was doing and I was planning to do the needful for the Udyapan. That morning my dad called up and after the the formal chat asked us to cancel the trip as he felt he wouldn't be able to give us attention as he was behind the workers in the fields and that mom too would get overburdened as she had to make food for the workers and cater to you guys too. I was stunned for a moment and didn't know what to say. I told him we would manage but he seemed hesitant and also said that I had told you it would be difficult for us. I was dejected and started crying thinking about what to tell my husband, mother-in-law and kids. When he heard me cry he said you guys come. We will work it out. But it was unwelcoming and I argued and hung upon him. I was sobbing and had a mental battle with Baba for a while. I was sarcastic and said a thank You for wonderful news on a Thursday. I somehow told my family and they too were upset but they understood. I was really upset that day and was angry with Baba and my folks. Days went by and today my brother came home and he while chatting casually told me, “Good you guys didn't land up going to our native as there was no electricity in the whole town for 3 days at a stretch and till today there is no power. I felt how blessed I was that we didn't go as my family would be very uncomfortable in such a situation and it would have been a torture for them. The whole situation played back in my mind and I saw what Baba saw for us much before. I am grateful to Him for saving my family from the discomfort. I have decided to go with what He decides however uncomfortable it may seem at that moment. Baba, I may falter in the process but I will learn to trust and believe in You. I just read a quote on one of the pages on this site, If you love me then obey my orders. I will. Thank You for being my guiding star. Om Sai Ram. Anonymous Sai Devotee from USA says: Hi all! I am a Baba’s devotee whose faith only increases everyday! When we think of Baba we begin to see Him everywhere; in every person, in every living thing! I was recently visiting family and was pretty tired and went to bed. I woke up in the middle of the night for some reason and checked on my fingers to find my wedding ring missing! I was so worried. I looked around but I couldn’t find it. All I did was closed my eyes and thought of Baba. I requested Him to please help me find it. I also promised to write this post if I found the ring. I opened my eyes and the ring was on the floor right next to my feet ! I still couldn’t believe it. It was a special ring and I had searched for it all over. If it fell on the floor, I would have heard the noise. Whatever the analysis is, I found it and Baba was only the guide! He is present everywhere helping us in big or small issues. Faith and Patience is all He asks for. Faith is hard to keep when Patience is fading. I think that is the test we have to give to receive ultimate happiness. Baba! You are all I have. Thank You for watching over me as I go through this testing phase of life. Om Sai Sri Sai Jai Jai Sai. Sai Devotee Anushree from India says: Thanks for launching this blog. I belong from Allahabad. I was in very depressed condition due to break-up with my boyfriend. Suddenly one day a thought came to me of doing Sai vrat so that I get my love back. I wanted to say sorry to Baba for doing some mistakes related to my boyfriend. It was my 4th week of vrat. Still I was not getting any result and I was very depressed. Then on one Thursday I went to Baba’s temple and prayed to please make me talk with my boyfriend and he should take it in a pleasant manner. On that Saturday at 9:10 his call came and he talk nicely. After that day we do have small conversations. But his love and care is not as it was before. But I have full faith in my Baba that He will give my love back. He has given me various signs that He will return my love. I will be very thankful to God if He will return my love and I have full faith in Baba but I don’t have patience and I am sorry for that. Baba please forgive my mistake and only show me the right path. Love You Baba. Anonymous Sai Devotee from India says: Om Sai Ram to all Sai devotees. Yesterday suddenly I started feeling uneasy. Due to cold I was unable to breathe properly. I was not able to sleep properly. In that situation I just took some Udi and put in my mouth praying Baba that I should be fine. I was repeatedly taking Baba's name Sairam Sairam and I felt asleep with Baba’s grace. When I woke up in the morning I was Ok and the breathing problem had gone. Thank You Sai Maa for loving me and all Your children so much. You always take care of all of us so much. Maa Love You. Om sairam. Saima always be with me pa. Am so confused. Guide me pa. I have no one to rely on. No one is interested in my well-being. Only saima ur name pacifies me. Always be with me pa. I always have to fight back otherwise others walk over my face. Whether to fight or be patient. U tell me saima. Make me physically and mentally strong pa. Om Sairam.